Missing Flight MH 370 Hijacked for Nuclear Terror Strike on America? SWITZERLAND, Zurich — Recent reports now confirm that the mysterious disappearance of Malaysian Airlines Flight MH 370 was an “act of piracy”, that the plane’s communication system “was disabled before it disappeared”, and that “it is conclusive” that the commercial jetliner was hijacked. Who is responsible for this brazen hijack and what kind of terror-related event this plane will be used for has remained a mystery—until now. Based on breaking news and events, it appears that Flight MH 370 was hijacked by the country of Iran for use in a 9/11-style nuclear strike on America—most likely New York City. Since international intelligence agencies were unable to execute the Iranian nuclear terror strike on New York City during Super Bowl XLVIII, they hijacked the Boeing 777 specifically in order to fly an Iranian nuclear bomb into one of the four following New York City skyscrapers. When the hijacked Boeing 777 will appear out of thin air in order to execute its kamikaze nuclear strike is not known, but it will likely happen just prior to or right after the 2014 Nuclear Security Summit in the Netherlands which is scheduled for March 24-26, 2014. As evidenced herein, headlines and events in respect to Iran’s nuclear program and their role in disappearance Malaysian Airlines Flight MH 370 are trending, which is to be expected just prior to a 9/11-style nuclear strike by Iran. READ: Hijacked? Malaysia Airlines Flight 370 May Be Used In Chinese 9/11-Style Attack On U.S. In order for America (possibly the entire world) to witness the 9/11-style nuclear terror attack “live” on television, Iran must first execute an unprecedented cyber-attack in order to electronically hijack American television stations in order to show the nuclear attack on “live” television. This particular angle is a redux of a recent Chinese nuclear terror plot as depicted in the June 30, 2014, Truther.org report entitled “Live TV Cyber-Hijack With “Live” Nuclear Detonation”. 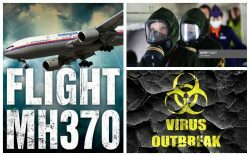 READ: Malaysian Flight MH 370 Hijacked for Islamic Terrorist Invasion of America? The plot to use Flight MH 370 as a vehicle for a nuclear terror attack only adds to the growing skepticism over whether or not nuclear weapons even exist. In short, large amounts of explosives (e.g., C4) are needed to create a massive explosion and subsequent fireball in order to convince the public that they just witnessed a nuclear explosion. Since ALL fireballs tend to mushroom, the bigger the explosion the greater the perceived nuclear attack. Evidently, a Boeing 777 can be packed with enough explosives in order to convince humanity that it just witnessed a nuclear attack. Evidence linking Iran to the hijacked Flight MH 370 was first identified on March 10, 2014, when it was revealed that the 2 stolen passports used to board the missing plane were used with 2 tickets purchased by an Iranian man who: a) bought the tickets at the last-minute, b) paid cash, and c) only purchased one-way tickets—All three of which are red-flags for terrorism. Three days later on March 10, 2014, it was reported that the mystery fake-passport holders on missing flight were in fact Iranian, ultimately confirming Iran’s hand in the hijack of the plane. A day later on March 11, 2014, Iranian lawmaker blamed the U.S. for the plane’s disappearance, an ominous sign that Iran is attempting to shift the blame of the hijacking onto the U.S. However, since Truther.org exposed the Iranian terror angle on March 10, 2014, intelligence officials quickly declared on March 12, 2014, that there was no Iranian terror link in respect to Flight MH 307. On any other day, Iranian nationals using stolen passports to board a plane which has since been hijacked would be construed as terrorism, but not in this case. Evidently, the real terrorists orchestrating this particular terror plot want the Iranian based 9/11-sytle nuclear terror strike to be a complete and utter surprise. While Iran was attending meetings in Switzerland over its nuclear program, numerous reports were leaked which suggests that Iran already has a nuclear weapon. For example, on January 6, 2014, Fox News reported that an Iranian cleric stated that “Having a nuclear bomb is necessary to put down Israel”, a comment obviously directed at the United States. Roughly 2 weeks later on January 19, 2014, World Net Daily reported that Iran is “2 to 3 weeks” away from nuclear bomb. A week later on January 26, 2014, it was reported that an Iranian official confirmed that the country sought to build nuclear weapons. Predictably, 3 days later on January 29, 2014, the Times of Israel cited U.S. intelligence sources which found that Iran can now build and deliver nukes. 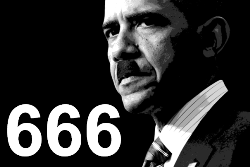 On February 1, 2014, a day prior to the planned nuclear strike on New York City during Super Bowl XLVIII, an Iranian commander stated that “We have targets within America”, further confirming that an Iranian nuclear strike in the U.S. is imminent. Aside from headlining the 2014 Nuclear Security Summit, Iran’s nuclear program has been trending as of late. For example, on March 1, 2014, it was reported that the U.S. is pushing Israel to stop assassinating Iranian nuclear scientists, a report designed to show a vibrant Iranian nuclear program. A day later on March 2, 2014, it was revealed that Obama and Netanyahu held a meeting to discuss the Iranian nuclear deal which happened to coincide with the 2014 AIPAC conference in Washington, D.C. Although impossible to confirm, it is likely that this particle terror plot was hatched at the AIPAC conference as events began to unfold shortly thereafter. Ten days later on March 12, 2014, it was reported that Iran and Russia are now discussing adding nuclear plants. Most recently on March 15, 2014, it was reported that Iran prevented sabotage at their nuclear facility. The latter incident was likely fabricated specifically so that Israel can tell the world in the aftermath of a nuclear terror strike on New York City that they tried to sabotage Iran’s nuclear program but it was too late. In the event that Iran is successful in attacking the United States with a nuclear weapon, it is imperative to remember that the leadership of Iran is not Iranian but rather Jewish. According to a Telegraph report dated October 3, 2009, former Iranian President Mahmoud Ahmadinejad has a Jewish past. Roughly 4 years later on September 19, 2013, the current President of Iran Hassan Rouhani took a Jewish member of parliament to the United Nations when Iran was brokering the historic nuclear deal with the West. Most recently, on February 7, 2014, it was revealed that Iranian President Hassan Rouhani donated $400,000 to a Jewish hospital in Tehran, a gesture only done by someone of Jewish ethnicity. These reports further confirm that international intelligence agencies just play country off of country to the detriment of all mankind. Although Iran is the most likely country to use Flight MH 370 in a 9/11-style terror attack on America, there is always the possibility that Pakistan could be primed for the same role. After all, Pakistan was to be implicated in the Super Bowl XLV Nuclear Terror Plot of February 6, 2011, and therefore cannot be ruled out in future nuclear-related attacks on America. Interestingly, on March 14, 2014, billionaire Rupert Murdoch tweeted the following message: “World seems transfixed by 777 disappearance. Maybe no crash but stolen, effectively hidden, perhaps in Northern Pakistan, like Bin Laden”. Evidently, Murdoch didn’t get the memo that bin Laden was reported dead in Afghanistan on December 26, 2001. Whether he knows it or not, he is acting as a disinformation agent, possibly with the goal of camouflaging the impending Iranian 9/11-style nuclear terror attack. Prior to an unprecedented nuclear terror attack in New York City, the American public must be led to believe though fabricated headlines and staged event that yes, it can happen. Starting on March 11, 2014, when President Obama made an inexplicable shopping stop at the New York Gap, the Big Apple has been trending in a major way. A day later on March 12, 2014, a deadly explosion caused 3 buildings to collapse in Manhattan killing at least 8 people. New York Congressman Charlie Rangel stated that the massive explosion was “Our community’s 9/11”, an ominous sign that the explosion was executed in order to set the pretext for an impending 9/11-level terror event in New York City. Two days later on March 14, 2014, after years in retirement, legendary NBA basketball coach Phil Jackson signed a deal with the New York Knicks. A day later on March 15, 2014, New York reportedly stole London’s mantle as world’s top financial center. Also on March 15, 2014, it was reported that Al-Qaeda has called for “car bomb” attack on American Cities, one of which was New York City. Needless to say, most of these events have been staged or timed in order to bring unprecedented media attention to the city of New York just prior to an Iranian nuclear terror attack. Prior to an Iranian cyber-attack on the U.S: government and its various media outlets (e.g., CNN, Fox News, CSPAN, etc.) the American public must believe that the U.S. government is highly vulnerable to a cyber-attack. Aside from the fact that hackers reportedly crashed Federal Election Commission website on December 19, 2013, recent reports in respect to cyber-security (or lack thereof) suggests that cyber-attacks against U.S. governmental institutions are imminent. For example, on February 4, 2014, it was revealed that a U.S. Senate report found that federal agencies often fail to take basic preventive cyber-security measures. That same day, it was also reported that “password” is the password on many U.S. government computer accounts, furthering the notion that feds are an easy target for hackers. A day later on February 5, 2014, a U.S. government report found that 4 in 10 government security breaches go undetected, suggesting that cyber-attacks are much more prevalent than originally thought. Roughly a week later on February 13, 2014, Iran’s supreme leader told Iranian students to prepare for cyber war, an ominous sign that an Iranian cyber-TV hijack may be imminent. Most recently on March 16, 2014, the Ukrainian CyberBerkut terror group allegedly took down NATO websites, another clear sign that the West is vulnerable to a cyber-attack. After all, if NATO can be hacked, so too can a corporate television stations.